NYC Immigration Lawyers, Naturalization, Green Cards, Deportation Defense, Brooklyn, New York - How Do I Apply for Immigration Benefits as a Battered Spouse or Child? » How Do I Apply for Immigration Benefits as a Battered Spouse or Child? Generally, U.S. citizens (USC) and Lawful Permanent Residents (LPRs) file an immigrant visa petition with the U.S. Citizenship and Immigration Services (USCIS) on behalf of a spouse or child, so that these family members may emigrate to or remain in the United States. USCIS Form I-130, Petition for Alien Relative is filed by the USC/LPR, the petitioner, on behalf of the family member who is the beneficiary. The petitioner controls when or if the petition is filed. Unfortunately, some U.S. citizens and LPRs misuse their control of this process to abuse their family members, or by threatening to report them to the USCIS. As a result, most battered immigrants are afraid to report the abuse to the police or other authorities. Under the Violence Against Women Act (VAWA) passed by Congress in 1994, the spouses and children of United States citizens or lawful permanent residents (LPR) may self-petition to obtain lawful permanent residency. The immigration provisions of VAWA allow certain battered immigrants to file for immigration relief without the abuser's assistance or knowledge, in order to seek safety and independence from the abuser. Victims of domestic violence should know that help is available to them through the National Domestic Violence Hotline on 1-800-799-7233 or 1-800-787-3224 [TDD] for information about shelters, mental health care, legal advice and other types of assistance, including information about self-petitioning for immigration status. What is the Legal Foundation? The Immigration and Nationality Act (INA) is the law that governs immigration in the United States. The Violence Against Women Act (VAWA) provisions relating to immigration are codified in section 204(a) of the INA. Rules published in the Federal Register explain the eligibility requirements and procedures for filing a self-petition under the VAWA provisions. These rules can be found in the Code of Federal Regulations at 8 CFR § 204. The Battered Immigrant Women Protection Act of 2000 (BIWPA) made significant amendments to section 204(a) of the INA. Self-petitions may be filed according to the amended requirements but adjudication may be delayed until rules are published. · Spouse: You may self-petition if you are a battered spouse married to a U.S. citizen or lawful permanent resident. Unmarried children under the age of 21, who have not filed their own self-petition, may be included on your petition as derivative beneficiaries. · Parent: You may self-petition if you are the parent of a child who has been abused by your U.S. citizen or lawful permanent resident spouse. Your children (under 21 years of age and unmarried), including those who may not have been abused, may be included on your petition as derivative beneficiaries, if they have not filed their own self-petition. · Must be legally married to the U.S. citizen or lawful permanent resident batterer. A self-petition may be filed if the marriage was terminated by the abusive spouse’s death within the two years prior to filing. A self-petition may also be filed if the marriage to the abusive spouse was terminated, within the two years prior to filing, by divorce related to the abuse. · Must have been battered in the United States unless the abusive spouse is an employee of the United States government or a member of the uniformed services of the United States. · Must have been battered or subjected to extreme cruelty during the marriage, or must be the parent of a child who was battered or subjected to extreme cruelty by the U.S. citizen or lawful permanent resident spouse during the marriage. · Is required to be a person of good moral character. · Must have entered into the marriage in good faith, not solely for the purpose of obtaining immigration benefits. · Must qualify as the child of the abuser as "child" is defined in the INA for immigration purposes. · Any relevant credible evidence that can prove the relationship with the parent will be considered. To self-petition, you must complete and file USCIS Form I-360 (Petition for Amerasian, Widow(er), or Special Immigrant) and include all supporting documentation. Self-petitions are filed with the Vermont Service Center and should be sent by certified return receipt mail (or any other method providing assurance of receipt). Sending the Form I-360 to any other USCIS office will delay your application. You should keep a copy of everything you submit, including the application and all accompanying documents, in addition to the proof of mailing. Forms are available at the Immigration Forms tab at the top of this page, in person at a USCIS office, by calling 1-800-870-3676, or by submitting a request through our forms by mail system. Notice of Receipt: You should receive an acknowledgement or Notice of Receipt within a few weeks after mailing the application and fee to the USCIS. Prima Facie Determination: Battered immigrants filing self-petitions who can establish a "prima facie" case are considered "qualified aliens" for the purpose of eligibility for public benefits (Section 501 of the Illegal Immigrant Responsibility and Immigration Reform Act (IIRIRA). The USCIS reviews each petition initially to determine whether the self-petitioner has addressed each of the requirements listed above and has provided some supporting evidence. This may be in the form of a statement that addresses each requirement. This is called a prima facie determination. Approved Self-petition: If the I-360 self-petition is approved, the Service may exercise the administrative option of placing the self-petitioner in deferred action, if the self-petitioner does not have legal immigration status in the United States. Deferred action means that the Service will not initiate removal (deportation) proceedings against the self-petitioner. Deferred action decisions are made by the Vermont Service Center (VSC) and are granted in most cases. Deferred action validity is 27 months for those for whom a visa was available on the date that the self-petition was approved. All others have a validity of 24 months beyond the date a visa number becomes available. The VSC has the authority to grant appropriate extensions of deferred action beyond those time periods upon receipt of a request for extension from the self-petitioner. Employment Authorization: Self-petitioners and their derivative children who have an approved Form I-360 and are placed in deferred action are also eligible for an Employment Authorization Card. To apply, USCIS Form I-765 (Application for Employment Authorization) should be filed with the Vermont Service Center. Applicants should indicate that they are seeking employment authorization pursuant to 8 CFR 274a.12(c) (14). The Form I-765 must be filed with a copy of the self-petitioner's USCIS Form I-360 approval notice. For more information on work permits, please see How Do I Apply for a Work Permit (Employment Authorization Document)?. Adjustment to Permanent Resident Status: Self-petitioners who qualify as immediate relatives of U.S. citizens (spouses and unmarried children under the age of 21) do not have to wait for an immigrant visa number to become available. They may file USCIS Form I-485 (Application To Register Permanent Residence or Adjust Status) with their local USCIS office. 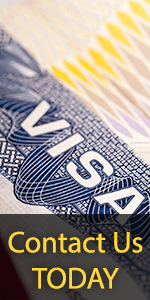 Self-petitioners who require a visa number to adjust must wait for a visa number to be available before filing the Form I-485. The wait for visa numbers can be anywhere from 2-10 years. Please see How Do I Get an Immigrant Visa Number? and How Do I Become a Permanent Resident While in the United States? for more information. In addition, if you are a battered spouse or child with conditional permanent resident status, please see How Do I Remove the Conditions on Permanent Residence Based on Marriage?. Some self-petitioners with an approved Form I-360 will be required either to apply for adjustment of status under section 245(i) (which requires payment of a penalty fee), or to apply for an immigrant visa at a U.S. consular post abroad. To apply for adjustment of status under 245(i), the self-petitioner must apply using USCIS Form I-360, Petition for Amerasian, Widow(er), or Special Immigrant, before April 30, 2001. Futhermore, the petitioner must prove he or she was physically present in the United States on December 21, 2000. In addition, you may a be a "grandfathered" alien. You are considered "grandfathered" if the I-360 petition was filed on or before January 14, 1998. You are also considered "grandfathered" if you had an immigrant visa petition in another category (for example, a Form I-130 petition filed by your spouse or parent) filed with the Service on or before January 14, 1998 or labor certification application filed with the Department of Labor on or before January 14, 1998. Recent changes to section 245 of the INA enabled some self-petitioners to apply for adjustment of status through the normal process without resorting to the 245(i) process. How do I File an Appeal if My Application is Denied? If your application is denied, the denial letter will tell you how to appeal. Generally, you may file a Notice of Appeal along with the required fee at the Vermont Service Center within 33 days of receiving the denial. Once the fee is collected and the form is processed at the Service Center, the appeal will be referred to the Administrative Appeals Unit in Washington, D.C. Sending the appeal and fee directly to the AAU will delay the process. For more information, see How Do I Appeal?. Victims of domestic violence should know that help is also available to them through the National Domestic Violence Hotline on 1-800-799-7233 or 1-800-787-3224 [TDD] for information about shelters, mental health care, legal advice and other types of assistance, including information about self-petitioning for immigration status. A. The regulations only require that the self-petitioning spouse be married at the time of filing. After the self-petition has been filed, legal termination of the marriage will not usually affect the self-petition, but you may want to seek advice from an immigration attorney or legal advocate. Statutory changes, effective October 28, 2000, allow for the marriage to have been terminated (there are some restrictions) within two years prior to the date of filing. Q. Can a divorced spouse seek relief through self-petitioning? A. Statutory changes, effective October 28, 2000, allow for the marriage to have been terminated (there are some restrictions) within two years prior to the date of filing. A battered spouse who does not meet these restrictions may be eligible for cancellation of removal. This is provided for under Section 240A(b)(2) of the INA. To qualify he/she must meet the other requirements that would be necessary for approval of a self-petition and must have been physically present in the U.S. for 3 years immediately preceding the filing of the application for cancellation of removal. Q. What if the abusive US citizen/LPR did file a Form I-130 petition on behalf of the battered spouse which is either still pending or was withdrawn? Please see How Do I Get an Immigrant Visa Number? for more information.